Undoubtedly one can read between the line that when President Umaru Yar'Adua and Dr Goodluck Jonathan assumed office in May 29, 2007 as President and Vice President, stakeholders in the education sector felt it was a sign of succor and Eldorado for the sector, especially when the duo named qualitative and functional education as part of their agenda; but little do they know that the political gladiators who were even lecturers in their early professional career would turn deaf ears to the agitations of their former constituency. 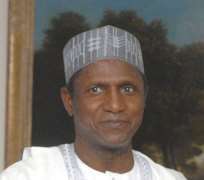 Yar'Adua was a former analytical chemistry teacher he later served as a lecturer at the College of Arts, Science and Technology in Zaria, Kano State, between 1976 and 1979. In 1979 he began to work as a lecturer at College of Art Science. He also worked as a lecturer at the Kastina Polytechnic in 1983; he was remaining in this position until when he decided to pinch his tent in the corporate sector. Also the Vice President, Goodluck Jonathan, who was once an ASUU member as lecturer at the University of Port Harcourt. The team also has the arrowhead, Minister of Education, Sam Egwu, who also once lectured in UNIPORT before moving to Abakaliki upon the creation of Ebonyi State. Many close associates of the Education Minister still recall how a man of God shocked Egwu by prophesying how he would be governor. Though he gave some facelift to education while he was a governor in Ebonyi State, and he was equally perceived to be quiet unassuming person, youth-friendly, and an educationist. His administration established Government Overseas Scholarship Scheme and had exchanged programmed agreements with several United Kingdom universities under which specified number of young Ebonyians traveled to England yearly to study Medicine, Engineering, Agriculture and other critical courses. Egwu established Ebonyi State University (EBSU) in 2000 because, by May 1999 when he became governor, Ebonyi was the only state in South East without a university. It was not just for prestige or glamour, or for issuing of degrees/certificates, but for production of capable manpower to meet developmental challenges of the 21st century. What puzzles most Nigerians however, in this particular strike situation is the character and nature of those involved in the tango. Now, Nigerians have found out that it merely seems to be a storm in a teacup. When Chief Olusegun Obasanjo was the number one citizen and target of the ASUU attention, the dons always touted him as an uneducated man who did not understand the value of the lecturers. This must have prompted the Army General to rush straight back to school at the National Open University of Nigeria (NOUN). It was gathered that a meeting recently called by the Senate Committee on Education to resolve the ongoing strike by the Academic Staff Union of Universities (ASSU) ended in a deadlock as the ASSU team and the Federal Government delegation could not reach any concrete agreement. While the meeting lasted, ASSU, led by its president, Professor Akachukwu Awuzie, told the gathering the federal government did not communicate formally its acceptance of some their demands and the 40 percent increase in their salaries. ASSU also denied reports that, they were the ones that demanded for 109 percent salary increment to meet up to the African average. “The 109 percent was agreed by the joint negotiating team between ASSU and the federal government after undertaking research in other African countries. But the government is busy spreading propaganda that that is our demand”, Professor Awuzie argued. Minister of Education, Dr. Samuel Ominyi Egwu said the federal government had to drag ASSU to the Industrial Arbitration Penal because there was no need for the strike since negotiations were ongoing but ASSU decided to embark on the strike which was against the principles of collective bargaining. “The federal government has approved 40 percent salary increment for academic staff in all tertiary institutions, 20 percent for non-academic staff, and 20 percent for staff of research, training and allied agencies and the negotiations continue but ASSU president said none of them in that meeting has the power or mandate to say that they are calling off the strike. The way forward is for ASSU to call off the strike, obey the IAP order and for the interest of the children go back to work. “Whatever are their grievances, our doors are still open. The position of the ministry is that we will wait for court decision because the case is already in court and the court has ask them to go back to classes and we hope that they will go back to classes.” Dr. Egwu explained. By this, no one can dare accuse Mr. President of being half-baked by any standards. He tested life in an elite primary institution and in top-rated middle schools, both in the grammar school system and in teacher-training version where manners and correct etiquettes were given proper attention. He rounded off these basics at the prestigious ABU where the best brains such as Professors Iya Abubakar and Ali Mazrui were on show. He topped this achievement by studying Analytical Chemistry, meaning he has great propensity to study atoms and elements before arriving at conclusion. Now, ASUU is led by Ukachukwu Awuzie, a tested don who wants nothing short of better living and study conditions for students, a stop to brain drain, etc. He has spat at the 40 per cent increase offered by the Federal Government because it is short of the 109 per cent being that was negotiated. Meanwhile, contrary to report credited to one of its leaders, the Nigeria Labour Congress (NLC), officially made its position known on the on-going strike by its three affiliates in the university system and declared that it was solidly behind the Academic Staff Union of Universities (ASUU), Senior Staff Association of Nigerian Universities (SSANU) and the Non-Academic Staff Union of Universities (NASU). While making its official reaction, the NLC warned that it might be forced to authorize and organize solidarity rally in support of the three unions as being demanded by some of its affiliates who had been grossly dissatisfied with the situation. Even though, it had intervened on the crisis, pleaded with its affiliates and was presently working hard on how to resolve the problem, the General Secretary of the Congress, Comrade John Odah, said it would not hesitate to summon the meeting of its highest organs the Central Working Committee (CWC) and the National Executive Council (NEC) to authorize solidarity support for ASUU, SSANU and NASU, as source confirmed to huhuonline.com. In a statement titled: “The true NLC position,” Comrade Odah said the views expressed by one of its members and a vice president of the congress, Comrade Issa Aremu, at a public lecture at the Ahmadu Bello University (ABU), Zaira, were his personal views and not that of the congress, stressing that he was not representing the NLC at that event. The statement said: “Our attention has been drawn to a widespread report of a public lecture by Comrade Isa Aremu, to which he was alleged to have berated ASUU on the on-going strike in the tertiary institutions in the country. “We wish to state that the view expressed in the said public lecture given to students of the Department of Economics of Ahmadu Bello University (ABU), Zaira, were the personal views of Comrade Issa Aremu and not that of Nigeria Labour Congress. All concerned stakeholders should do something fast to salvage the ailing education sector, just as the banking sector witnessed intervention to avoid liquidation; and also militancy, arm struggle and restiveness got the attention of the federal government particularly the Presidency even as it offered them amnesty and meeting with the irate Niger Delta youths for negotiation. Our education is in doldrums, ravaged by neglect, ineptitude, corruption, lack of accountability, dilapidated infrastructure, misuse, misapplication and wastage of funds, inadequate funding, dearth of research endeavors, cultism, misplaced priorities, over bloated, inefficient bureaucracy, university admission crisis, poor quality products, frustrated teachers, massive drop outs, millions of school-age children not in schools, overcrowded classrooms, no feeding whatsoever in public schools, failed JAMB and WAEC, gender disparity and gross inability to attain the Millennium Development Goals particularly in respect of education for all. Stakeholders should do something fast; besides there couldn't have been a more succinct admission of failure or a more eloquent restatement of it in such no uncertain terms in this failed 7-point agenda.